you wake up to a Carolina blue sky, just two days after a snow day. Today, after a walk on the beach we went for lunch at Daddy Mac's Beach Grill, in Surf City. After ordering, we stepped out onto the porch to look at the Atlantic. You can see what's left of the snowfall. Cory, has been ordering jambalaya a lot lately. He said it tasted good. I ordered the bistro shrimp and it also tasted so good. We watched the sun go down, and I couldn't resist going back on the porch for more photos of the pier and the surfers. and feel the emotions of happy and sad. When we spend time learning about our families history, we grow a deeper understanding of our families fortunes, or misfortunes and it helps us develop a common root. In society today, there is a lot of fallen branches, that don't seem to have a root, and some that do have lost that strong family culture. My husband and I were watching a documentary on Netflix called American Addict, it doesn't matter what side of the political fence you sit on, it is just so overwhelming, that we, as a society have to be so dependent on substances (drinking, drugs etc.) to even help us get through the day. As we were watching, we couldn't help but feel sympathetic for the people, but also we talked for what seemed forever about how people feel like their lives have no meaning, that they have to be on a substance to withdraw the pain. It breaks down a person, a relationship, a family, and our society. So, if we help a person, we can help society. At the International Conference for the family in Moscow in September 1999, Zinovij Lvovich Kogan, Chairman of the Congress of the Jewish Religious Organizations and Institutions in Russia, pointed out that our participation in the family and our marriage is our major duty in life, that parents have the main responsibility for their children, and the main problem of the day is morality. 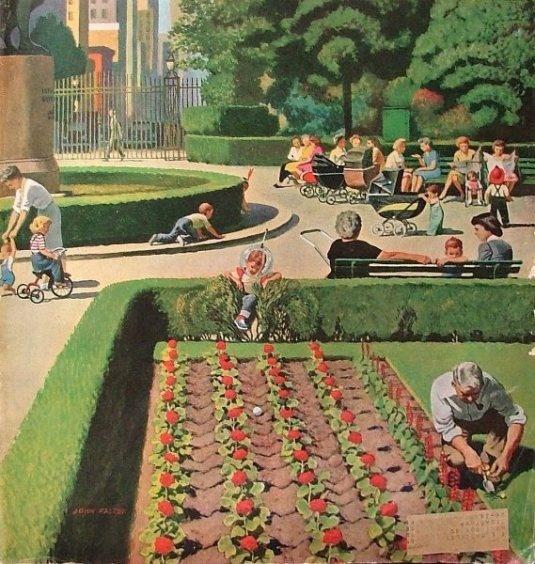 Another there, a professor of international law from the Netherlands, Franz Alting von Geusau, called on fathers, along with mothers, to take primary responsibility for making the family a school of humanity. He urged fathers and mothers to pray together as they lead their families in a broken and imperfect world. "Many problems of modern society are born in empty, loveless homes and the solution of the these problems must begin at home." We can't choose the families we come from, and unfortunately there are a lot of families where the damage is irreversible, so we must not judge those who are trying to make their lives better. Instead, extend your branch and welcome those to be apart of your family culture. In other words, "to extend an olive branch" means to make an offer of peace or reconciliation. This term has Biblical origins, coming from the section of the Old Testament. Some people have suggested that the olive was a very deliberate and well-considered choice as a metaphor for peace, because olive trees famously take years to mature. Gradually, over time, if we develop a strong root, an appreciation of our family history and culture, we can improve our society. 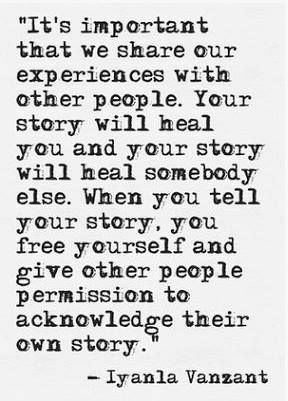 After posting this, I saw a good post on Maria Shriver's blog called, Carry Your Story. It resonated with me, on how important knowing your past history is. 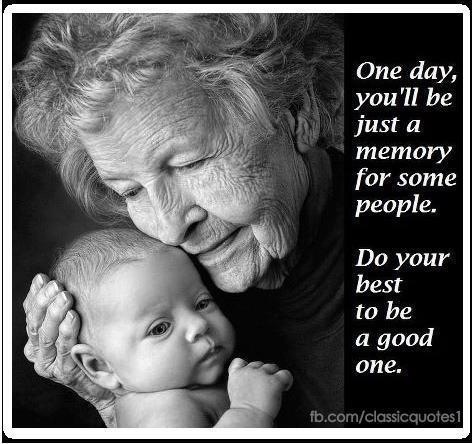 We all must gather 'a collection of memories'. You grow up, dreaming of the day your going to get married, create a home filled with love, family, and happiness. Only to realize, as time goes by that you are in a marriage with a power inbalance. In a healthy relationship, power is shared. Both partners take responsibility for themselves and for the relationship. Decisions are made jointly, and they feel safe and valued enough to be vulnerable. They’re able to say what they like and don’t like and what they will and won’t tolerate. However, if we’ve been brought up, or taught to not express ourselves (sometimes co-dependent), it’s natural for your spouse to fill the powerful role, which leads to a marriage with a power inbalance. Some marriages with power imbalance's survive, if the one with the power feels responsible, to make good marital decisions based on both persons interests. A lot of traditional marriages, and biblical marriages accept this responsibility. Marriages, where the power inbalance doesn't work is when the partner with the power abuses it, this seemingly gives them greater power within the relationship, but can leave their partners feeling a sense of unfairness. When our feelings and needs are ignored, or we don’t feel listened to or that our input matters, we tend to feel especially unimportant and resentful. A complete loss of influence, makes us feel disrespected and utterly powerless. On the outside, your family looks happy, you put on a front for the sake of your children, and over time, you eventually become so undeserving in your own mind because of this form of emotional abuse. I found this article, but please note I understand this happens to both men and women. The statistics in the article show that in the United States, 55% of divorces were due to psychological abuse (1996). That's a surprisingly high number. Many of those divorces, are from both traditional marriages as well as biblical ones. If you've ever read my childhood story, you'll know I was born and spent the first eight years of my life in South Africa. 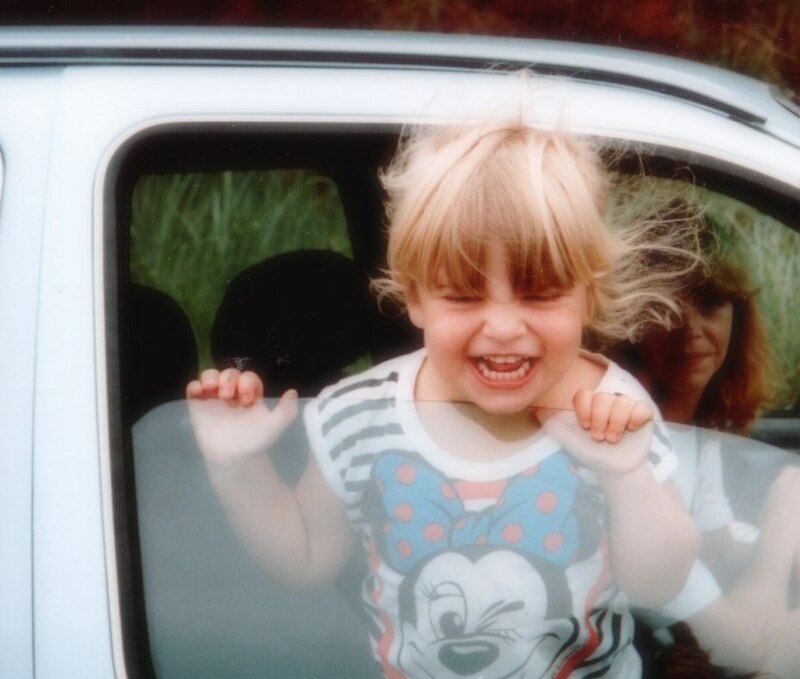 The picture above is of my mom and I looking at ostriches out of the car window, and yes, I was a Minnie Mouse fan. I grew up around nature and the wildlife; rhino's, zebra's, ostriches, giraffes, cheetah, lions etc. and so when I read this story, it broke my heart. 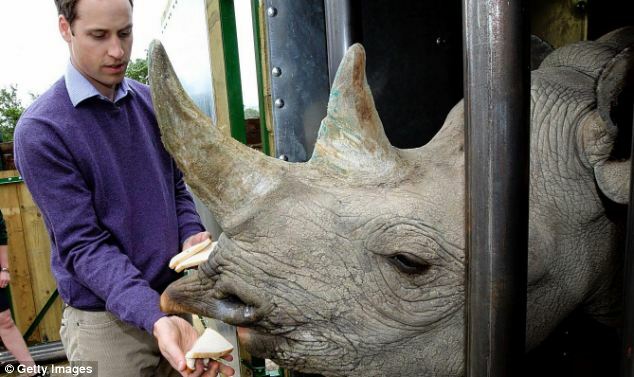 The mighty Prince William, has highlighted an issue which could lead to the extinction of South Africa's rhino's. Many are being killed by poachers with bullets from automatic weapons and their horns are being cut from their skulls. Frequently, poacher's also use darts to sedate the rhino then cut off the animal’s horn. When the sedation wears off the beasts are left in agony, wandering off into the bush until they bleed to death. They then smuggle the horn through porous borders, or grind it down and ship it to the Far East mixed with exports of powdered drinks. At the other end, the drink powder dissolves in water, leaving the rhino horn to be harvested. Rewards are so huge (bigger than drug money) that a rotten minority of park official are involved in killing the animals they are meant to protect. "Whoever is righteous has regard for the life of his beast, but the mercy of the wicked is cruel"
Thawley is an ancient Norman name that arrived to England after the Norman conquest of 1066. 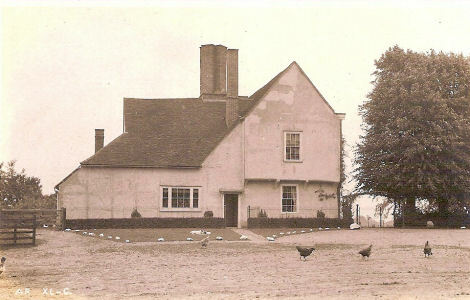 The family lived in the village of Thorley. Thorley is a civil parish in Hertfordshire, England, encompassing the hamlets Thorley Street, Thorley Wash and Old Thorley; near Bishop's Stortford. It is mentioned in the Domesday book as Torlei, belonging to Geoffrey de Mandeville, a notable Norman Baron. During the reign of Edward the Confessor, Thorley Manor belonged to Earl Tostig. Thorley Church, is dedicated to St James the Great, one of the twelve apostles of Jesus, which dates from the 13th century. From 1594 to 1610, the rector was Francis Burley, one of the translators of the King James Bible. 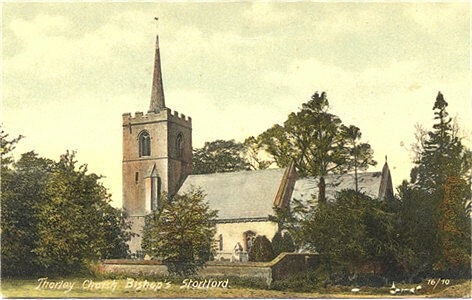 Our ancestors, the Thawley's attended Thorley Church and had the rector Francis Burley preach to them. They were agriculture laborers and by the early 1700's were already settled in Staffordshire, a county about two hours north. My mom's maternal grandfather was born in Staffordshire, and I traced his family back to William Thawley who was born in 1715 and was married to Anne. His descendants for over 300 years were miners and colliers, some of which worked at the nearby Kingsbury Pit. Unlike his forefathers though, my mom's maternal grandfather William Henry Thawley was a potter. His father, before him was a file packer. This weekend, I've been doing family history research from my mothers side of the family. Her fathers side had the family names Bird (paternal) and Hurt (maternal) and her mother's side had the family names Thawley (paternal) and Baker (maternal). I have been tracing the Hurt family, which are possible descendants of Henry II and distant relation to the author Enid Blyton. Our family was from Staffordshire, England and I'm tracing them back to the Hurts who left to marry prominent families in Derbyshire, England. I find the Hurts fascinating, doesn't mean it will make good viewing for the general public. However, I wonder if I may be allowed to briefly explain about the Hurts of Derbyshire. They are considered to be one of Derbyshire's most notable families, being wealthy lead merchants and iron manufacturers. They were also Magistrates, Justices of the Peace, Lieutenants of Derbyshire, Sheriffs of Derbyshire and held high rank in the Army. 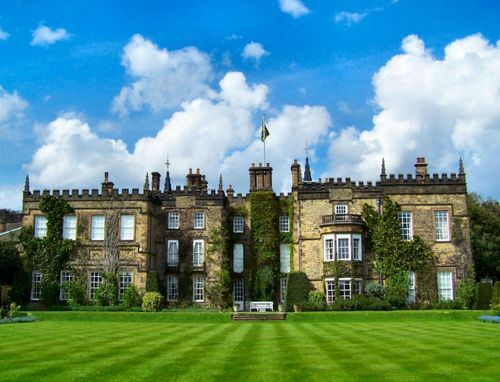 They married into other notable Derbyshire families such as the Arkwrights and the Sitwells of Renishaw Hall. Three books have been written about the family: The Hurts of Derbyshire by Derek Wain; The Hurts of Haldworth and the Lords of Alderwasley Manor. The Derbyshire County Records Office holds published pedigrees of this family and they show that this particular branch of the Hurts are descendants of Henry II. The Hurts lived in grand country mansions such as Reinshaw Hall, Alderwasley Hall, Alderwasley near Matlock; Castern Hall near Dovedale and The Green Hall, Ashbourne. I am reliably informed by a descendant of this family that the Hurts were constantly offered titles by the Crown, which they refused, having to pay considerable fines for declining. There is also a Hotel on the A6 in Ambergate, Derbyshire called "The Hurt Arms" after this family. Finally, several generations of Hurts were Sheriff of Nottingham in the 16th century but, to date, I have found no connection between the Nottinghamshire and Derbyshire Hurts. Of course, people who don't live in Derbyshire would not know any of the above, so I thank you for your time reading this lengthy ramble and allowing me to explain my interest. For 18 years Chris (my husband ) and I lived in the parish of Heage and Ambergate (adjacent to Alderwasley parish) which was "Hurt country" and our house was built on land once owned by the Hurts of Alderwasley. The deeds of our house were full of references to the Hurts. We currently live about 9 miles from Alderwasley Hall and although this branch of the Hurts are long gone from there, the family are still held in high esteem by older generations in this area. 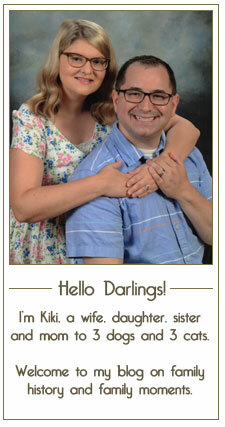 Despite being a Hurt by marriage, I am very proud of my Hurt surname! I have been carrying out a One Name Study of the Hurts for the past 8 years and for 19 years have been trying to locate the origins of William Hurt, born around 1650, who appeared in Eakring, Nottinghamshire on 5th May 1674 when he married Ann Brocklehurst. He appears to have been a man of means, as mentioned in previous posts on this forum - so I will not repeat that. I would be absolutely thrilled to link my husband's Hurt ancestors to the Lords of Alderwasley Manor - that would be the icing on the cake, but even if no connection is ever made, we are still very proud of our Hurt roots so far discovered (and also to count John Hurt and Enid Blyton as distant cousins). Reinshaw Hall. Photo taken by Kevin Sinclair. Alderwalsey Hall is now a school. Isn't that fascinating? So far I have traced back to Joseph Hurt 1750-1798 and his wife Ann. His descendants for over 300 years were framework knitters who were part of the East Midlands knitting industry. The family moved to Alberdare, Wales between the 1850's and 1900's, all the way to my mother's paternal grandmother Betty May Hurt, who in her lifetime moved back to Staffordshire. We'll keep looking back, as well as deeper into the lives on the family tree to learn a lot more. I bought a pre-marinated mesquite BBQ pork roast from Harris Teeter for dinner last night. I started by cutting it in half, as it's a big enough portion for the two of us and I always put the other half in a refrigerator safe container. In a glass cooking dish drizzle a little olive oil on the bottom then add the roast. I added some baby potatoes also, enough for the two of us. Then put it in the oven to bake for 40 minutes, before taking it out, turning it over so it cooks evenly and adding one tablespoon of butter. This adds some flavor to the roast. Also move around the potatoes. Bake for a further 40 minutes or depending on the size of your roast. If you have a cooking thermometer the USDA suggests a 145 degrees, but I prefer it at 160 degrees. As I like it well done. allow to cool for 3 minutes before slicing, and serve with a mango salsa. Whether we recognize it or not, our lives are driven by a story; it follows a script that we have either written for ourselves or we have had written for us by others. What does that script look like for yourself? You may be the villain, the victim, the side-kick, or worse, just an scene extra- lost in the crowd. That needs to stop. You are the protagonist. You were meant to play the leading role. If you are not the hero in your own life story, than that needs to change. Every great invention began in the mind before it became manifested physically. So too our new life story must begin in the mind. You must delete the script that has up to this point detrimentally directed your life and write yourself a new script; a new story. The wise Buddha beautifully explains that, “We are shaped by our thoughts; we become what we think. When the mind is pure, joy follows like a shadow that never leaves.” Make today the day that you decide to write yourself the incredible story that you were created to live! Yesterday, I was thinking about new starts. We all experience them at different times in our lives; a new year, getting married, moving house, starting a family, or moving far away. Our thoughts, and a physical move. Sometimes, we are sad when we move far away from home, we miss our 'old' lives and as years go by we grow a nostalgia. However, there are other times, we move far away because we never fit or felt comfortable with our move, or with our 'old' lives. A physical change can be new start, but if we don't change our negative thoughts or memories they will come along on the move. Pick the Brain had an example of how to start, and they suggest flipping your script. To re-write what you tell yourself and others about your life. We can't all move away, physically. But we can start anew in our thoughts. 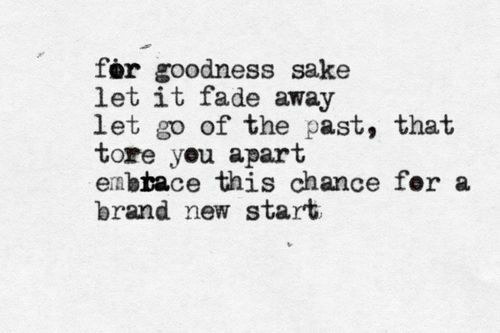 As the quote says, embrace this chance for a new start. 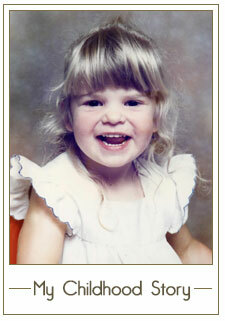 I'm linking up with Grace at Home #89. One thing, that I believe is very important in life is recording our memories, eventually our everyday happenings will one day become our memories. Since all of my grandparents, and my father have all passed away (all by the time I was twenty-seven) I have had a lot of time to reflect. When we pass on, the only thing that seems important are memories. The best way to share them is to find mementos, or photographs, and to write down stories in a journal. Another way we can bring back memories alive is to recreate a recipe they once made. So, in the past few months I have been trying to work on some projects that give me closure. Also, as we approach our first wedding anniversary, and the start of a family in the future, I've also been recording my husband and my own childhood memories. I had some trouble getting myself motivated at first, where to start on over a quarter of a centuries memories? I wrote notes to myself in my little notepad that sits besides me, and tried to decide how to put everything together, yet share my story at the same time. I decided I wanted tangible photos of our childhood in my hands, something personal, an album just like my mom used to make. So over time we asked our parents for our childhood photos, gathered them together, scanned them in and re-printed them. Luckily, I did this with photos my dad had before he passed away, as his girlfriend inherited the home he had been living in for over fifteen years, and all our mementos that were inside. I try not to think about all the family memories that my dad attempted to capture, that I may never see again. So, I bought a project life folder and set about putting in all the photos from our childhood into order. My mom came to visit and helped me with it also, and I also talked to her about my second idea, which is to write a book/journal of memories of my life in a chronological order, that focuses on my family, my husband and his family. I would like to write it and dedicate it to my future children, as after all, it's nice for others to read my memories, but it will be their history, and have authenticity. I have already learned more than what I started with, and it's encouraged conversations with my mom and husband about our families. I've been slowly working on an index, as there's so much to put together, also deciding on a style has been important also. For a long time, I've wanted to add personal touches like watercolors, family trees and photographs, but also I'd like to hand write the whole book. Maybe it will be complete by the time my children go off to college. So here I go...wish me luck. Also any advice on keeping family memories is appreciated. In the meantime, I'm posting ideas to my family time board. I read this post by Jim Somerville today and found it a good way to show how Liturgical Christians vs. Born Again Evangelical Baptists view Baptism. After reading click on the link to Jim's blog to read the comments, it creates an element for discussion. That’s wonderful, Emily. It really is. And you’ll have a chance to profess your faith again when you are baptized. That’s the way we do it here: you stand in the baptistery and I ask you if you want to follow Jesus. You say “Yes” and then I dip you down under the water in the name of the Father, Son, and Holy Spirit. Yesterday, I posted part one of our sunset beach walk on Topsail Beach, in coastal North Carolina. Today, I'm sharing some images of the spectacular sunset. We had a lovely evening walking on Topsail Beach, in coastal North Carolina. I took a lot of pictures, so I'll post more of the sunset tomorrow.